Math Detectives on the Case!! We have been working very hard this year to become math detectives!!! Last year I was introduced to number talks and number strings and have incorporated these practices into our math learning. 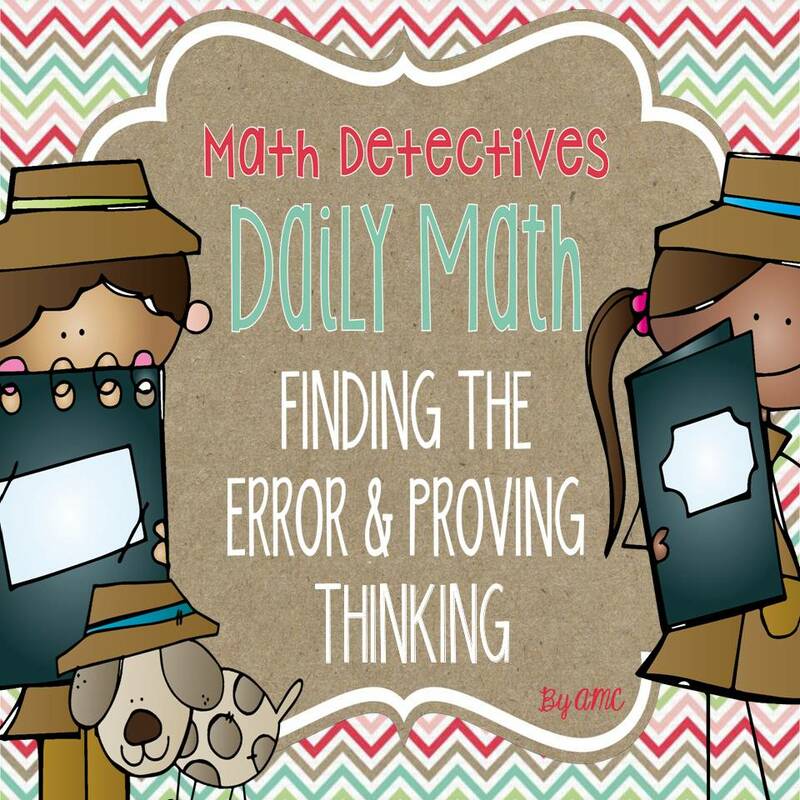 We have been having a lot of success with these so I thought....why not incorporate some of the skills that we are developing into other learning activities....and math detectives were born!! An area I wanted to focus on this year was the mathematical process skills of reasoning and proving. While these are really important skills to develop as mathematicians I was having a hard time targeting and developing these skills with my first and second graders. Through number talks and number strings our ability to explain our thinking or strategy was improving but students were still having a hard time explaining how they knew an answer was correct and what to do if someone gave an incorrect answer or an answer they did not agree with. I have found that my students are much more willing to disagree with an answer when it does not belong to one of their classmates (no hard feelings in our math class!!). So to help my students develop their reasoning and proving skills we started working on questions where we knew there was an error and our job was to find it. At the end of the week or into the second week (depending on our schedules!) we would move on to a word problem that built upon the skills we had been practising all week. We read through the problem together, discuss some possible strategies and how to "make our case". Each student gets a copy of the problem so they can solve the case!! We glue the weekly problems to the top of the folder. Sometimes I print out the daily slides and cut them into four pieces. Students select a piece and put a check mark if it is correct and an x if it is incorrect. They share their thinking with a partner and then with the class. We glue these on the bottom of our journals. After completing all 7 sets of slides and problems it was official....we were math detectives. So we made ourselves into math detectives!!! Click here to pick up a copy of the calendar cards. 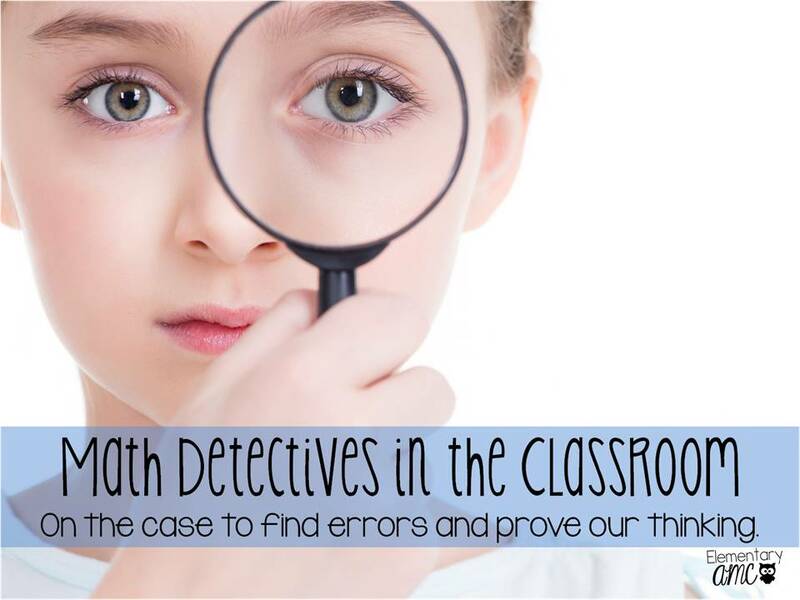 If you want to check out the resources we used to become math detectives you can check them out here on TPT.